Entertainment passes can be purchase from reception. There is a keybox for entry to caravan avoiding having to queue at reception. This very spacious Pemberton Park Lane Vista is 42ft x 14ft wide. 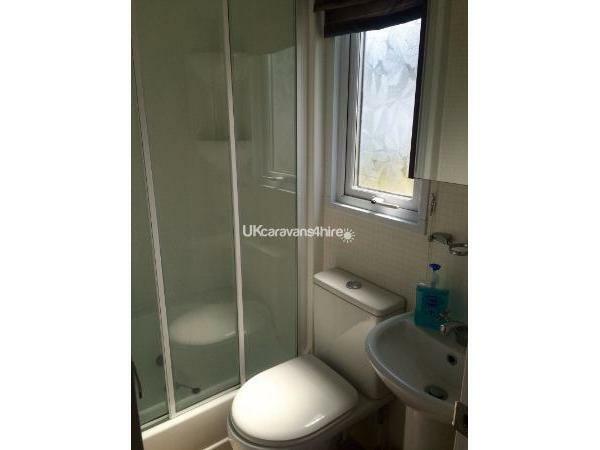 It is situated on a Very Large raised plot and has room for parking either side. 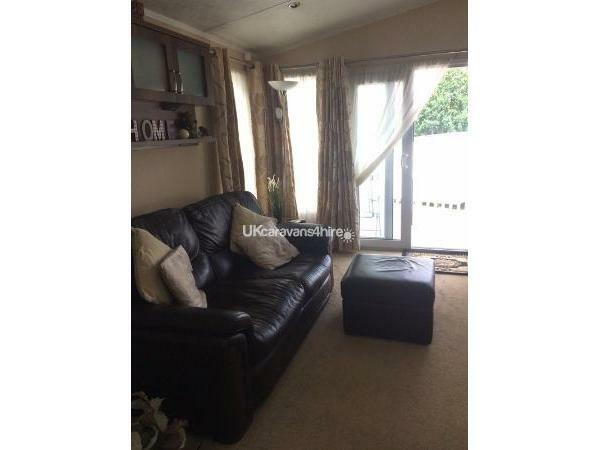 It has Patio Doors at the front leading out to a Veranda where you will find Patio Furniture to sit on and also great views over Lytchett Bay and the Boat Park. 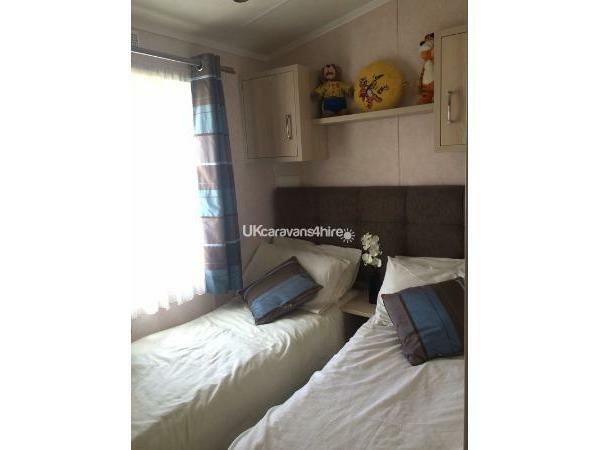 There is also a Patio area to the side of the Caravan which has also has Table and Chairs. 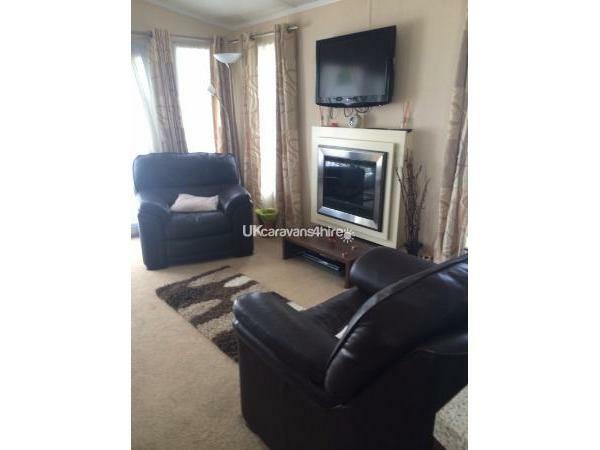 Coming inside the Caravan there is a large Living Room which has a Flat Screen TV on the wall with DVD player, it has an Electric Fire below and also boasts a Leather Three Piece Suite. 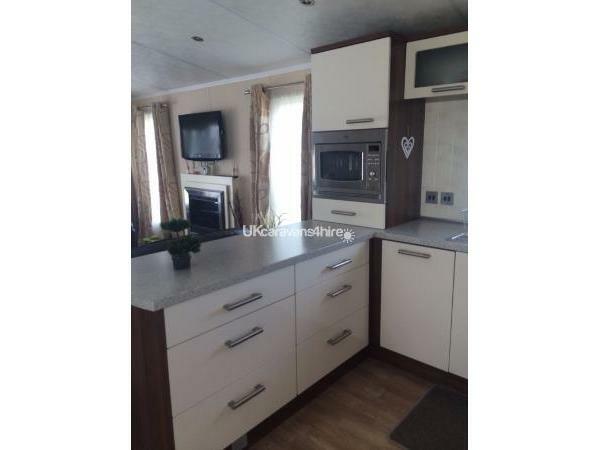 In the Kitchen there is a large Fridge Freezer, Oven, Grill, Microwave, Washing Machine and a Dishwasher. 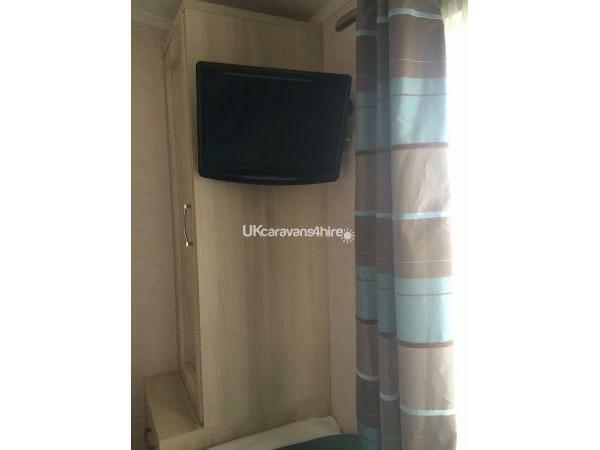 The Caravan comes equipped with a Toaster, Kettle, Cutlery, Crockery and Pots and Pans. The Kitchen also has a Dining Table with seating for Six. 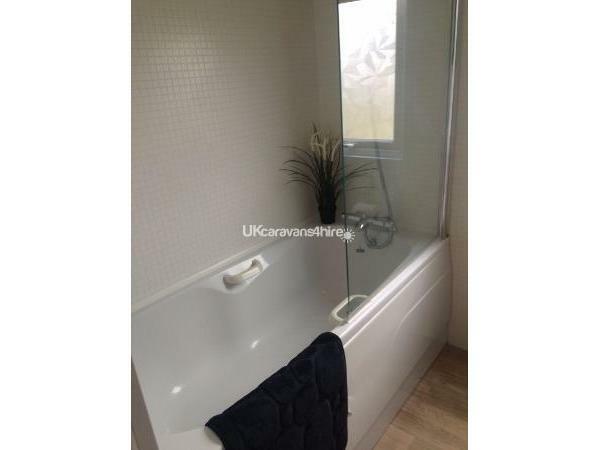 There is a good sized Family Bathroom which includes a Shower and a Bath with Towel Rail. 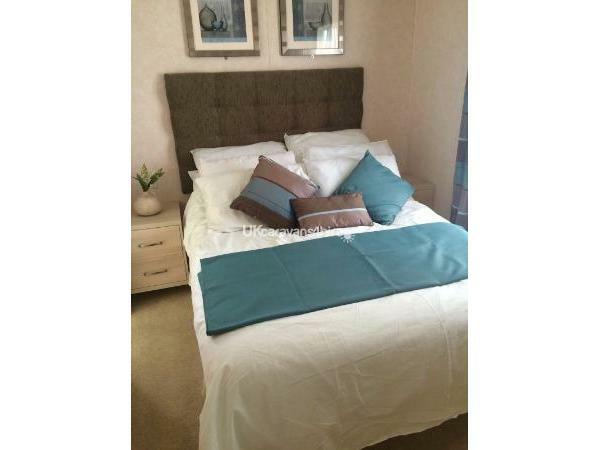 The Three Bedrooms consist of Two Bedrooms with two Single Beds and a Master with a Double bed and an En-Suite with a Shower. (All Bedrooms have Flat Screen TV's in). - Please note entertainment passes not included but can be purchased from reception. - £100 Extra Deposit (Refundable) in case of any items which get damaged/broken and if the key is not returned. - Cancelation within 6 weeks of booked holiday will result in any money being paid non refundable. - Sports Area which includes: Crazy Golf, Play Park, Tennis Court and Multi Use Sports Court, Climbing Wall, Bungee Trampolines and Archery. - Private Beach with Café, Play Park and Water sports activities provided by Rockley Watersports.